The Evolution Media Wall can be custom designed to meet your requirements. 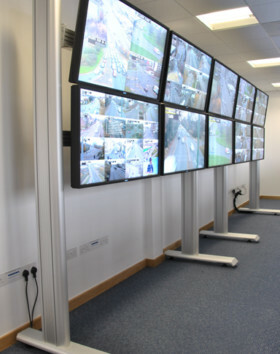 Whatever your room size or specification for screen configurations, our experienced design team can provide a complete monitor wall mounting solution. Our free design service provides a 3D render of your custom Evolution media wall, to help you visualise your project. In addition, 2D drawings are provided which detail viewing angles and recommended ergonomic design.